Never lose your keys overboard again. or your contact information personalized the way you want! Use this area to provide us with any other special design requests you have for this item. Not all special requests may be honored. If you would like to add your contact information to the back of the keychain, please note that information here, including text, font, and color options. *Example Only. 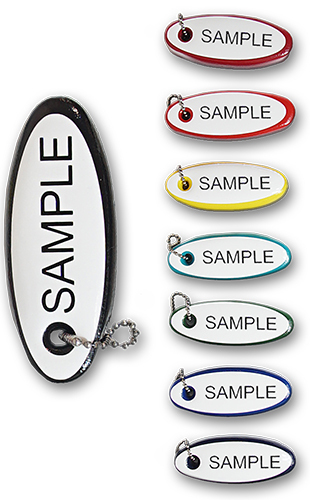 Actual keychain may look slightly different due to font and color options selected.